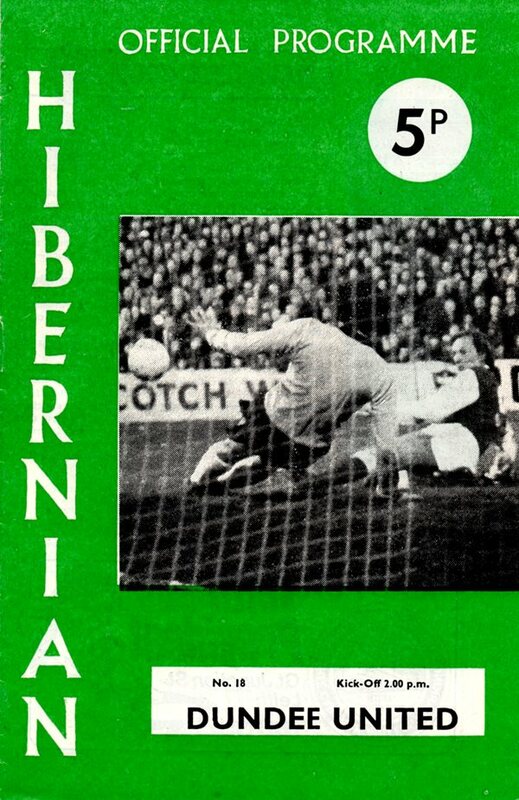 A pupil at Harris Academy, Derek had played with Butterburn Youth Club in his early years before signing briefly with Hibernian on an 'S' form. He was later signed by United from Lochee United where he has been playing as a teenager. 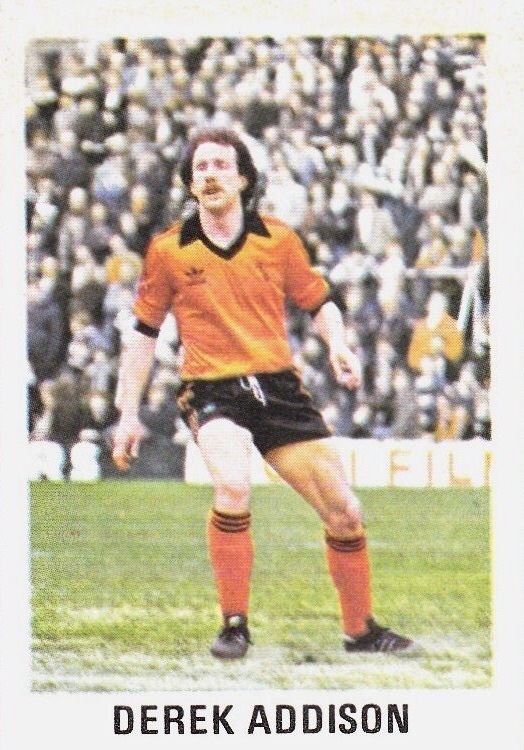 Derek first broke into Jim McLean's first team set up in 1974 and became a regular by 1977, mostly moving between the first eleven and the substitutes' bench. 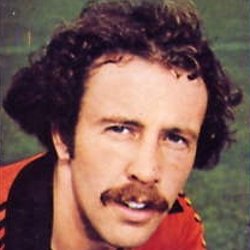 Although he was not involved in either of United's League Cup final victories in 1980 and 1981, he did play in several of the earlier rounds of both campaigns. 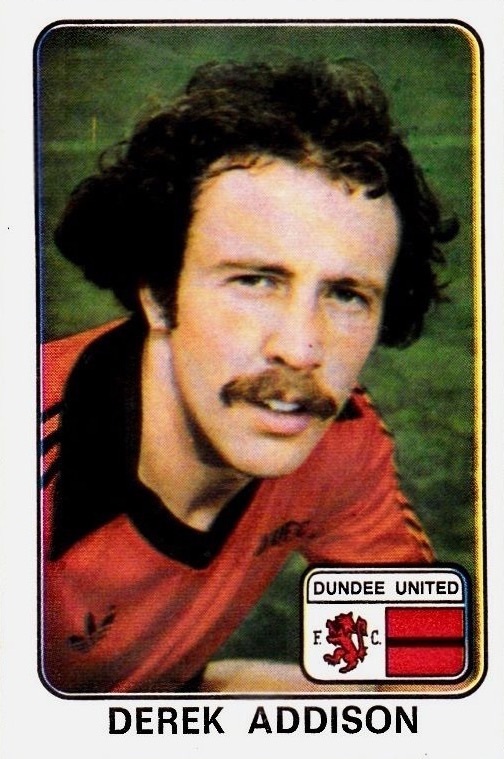 In September 1981, Derek left United to join the recently relegated Heart of Midlothian for a fee of £55,000 just a couple of months into the 1981-82 season. 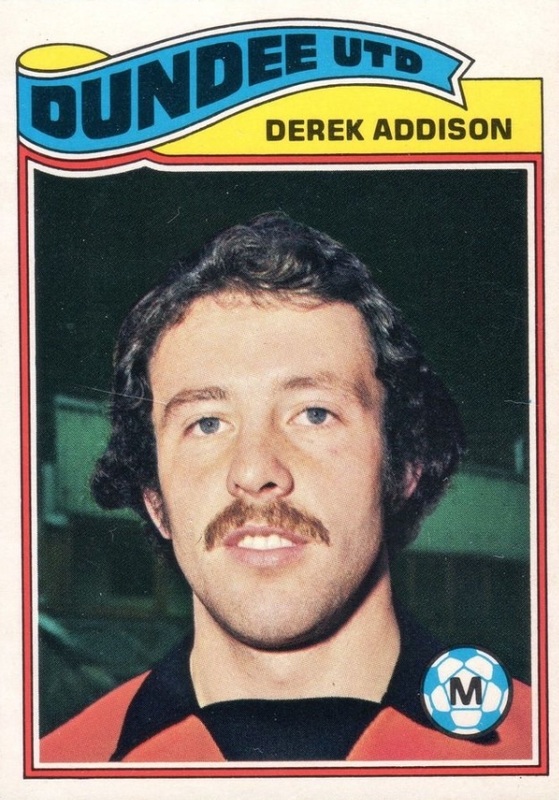 Although he held down a regular place in the Hearts side, the club were faced with financial difficulties when they failed to gain instant promotion back to the top flight, and Derek was sold to fellow First Division side St Johnstone for £65,000 just a year later. He spent 4 seasons at Muirton Park, taking on a Player-Coach role before moving on to Brechin City in 1986 where he finished his playing career. Visits to Shawfield prior to then had scarcely provided good reading for United fans — but things improved that afternoon in a result sense anyway.The Tannadice side were then bidding to clinch for themselves a place in Europe for the following season and therefore the two points were vital ones to gain. Mind you, the fact was that although the rewards were forthcoming at the end of the day. It was Scottish Cup day and United were looking to establish a first because they had never beaten the Jags in this competition. And for much of this game it looked as though it would take United at least a replay to break their duck as Alan Rough at his international best put up the shutters. Twice too, United had valid penalty claims turned down. Anderson sent Derek Addison flying in the first half and later a drive by lan Philip was stopped by Campbell's hand, but each time United's claims fell on deaf ears. United opened the season at Somerset Park, defending their hold on the League Cup after last seasons final victory over Dundee at Dens Park. 19 year-old striker John Reilly, who had been a regular scorer during pre-season, was given a starting place ahead of Davie Dodds, and with skipper Paul Hegarty missing through injury, new signing George Nicol was given a place on the bench.